International Journal of Political Studies is a journal founded by Center for Political, Economic and Social Research in 2015. IJPS tries to serve the academia by publishing qualified articles in all the fields of social sciences and in particular political science. 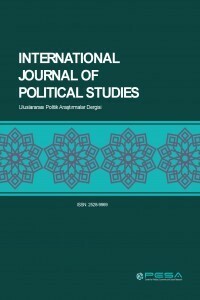 International Journal of Political Studies is publisjed online three times a year, April, August and December. IJPS publishes articles the field of social sciences like Public Administration, Political Science, İnternational Relations, Sociology, History, Psychology and Turkish Language.